A couple of weeks ago I came across this story about a new 75 storey, £850m luxury tower block that is planned for London’s Canary Wharf. The article describes the mystery surrounding the development. 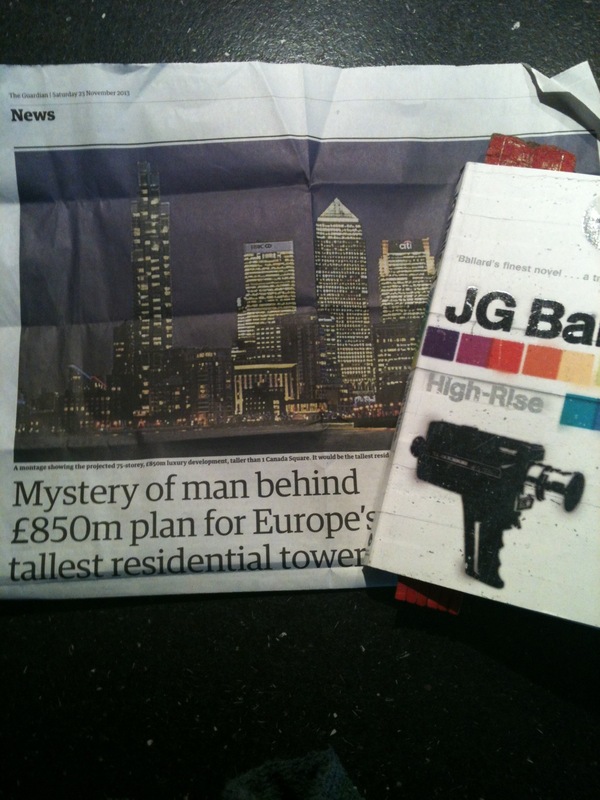 But what I was struck by was the similarity to the development described in JG Ballard’s mid 1970s novel High-Rise. High-Rise describes the dysfunctional and pathological social relations that emerge in a self-contained luxury tower block. The novel describes how new social hierarchies emerge in the building and how these become vehemently and violently enforced. Of course, the book is fiction but it’s interesting to note Ballard’s sensitivity to social developments particularly with regard to affluence and luxury. He uses the story to creat a spectacular account of the nature of social divisions, especially when the lines are less clear so people seek to reinforce them on new grounds. What was particularly notable was the scale of this development compared to Ballard’s building. Ballard’s high rise was 45 storey’s with a population of around 1000. This planned building is set to be 75 storeys tall. This entry was posted in fiction, infrastructures, space and tagged Ballard, High-rise, residential tower. Bookmark the permalink. I had exactly the same thought when I first started reading about One Hyde Park. If only Ballard had lived for another decade or so, I suspect he would have found the 2010s the most intellectually stimulating of his life….